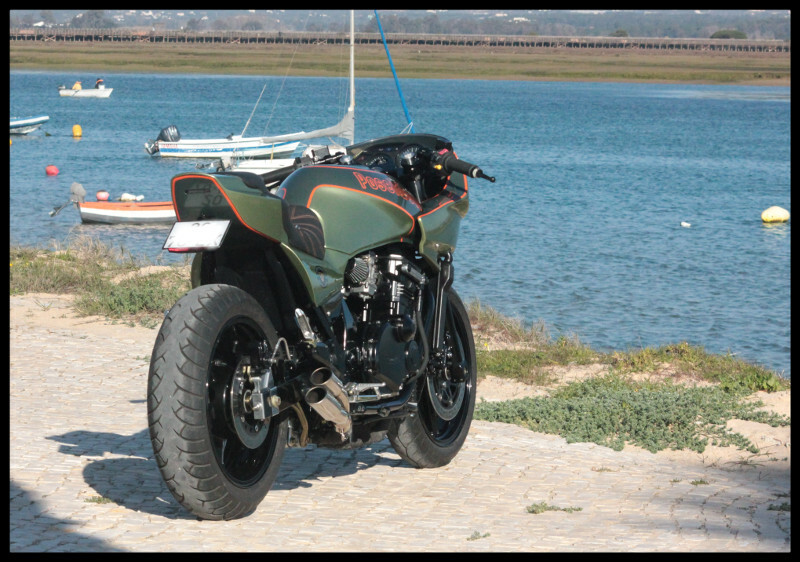 For a riotous period in the 1980s, the Kawasaki GPz1100 was king of the air-cooled superbikes. 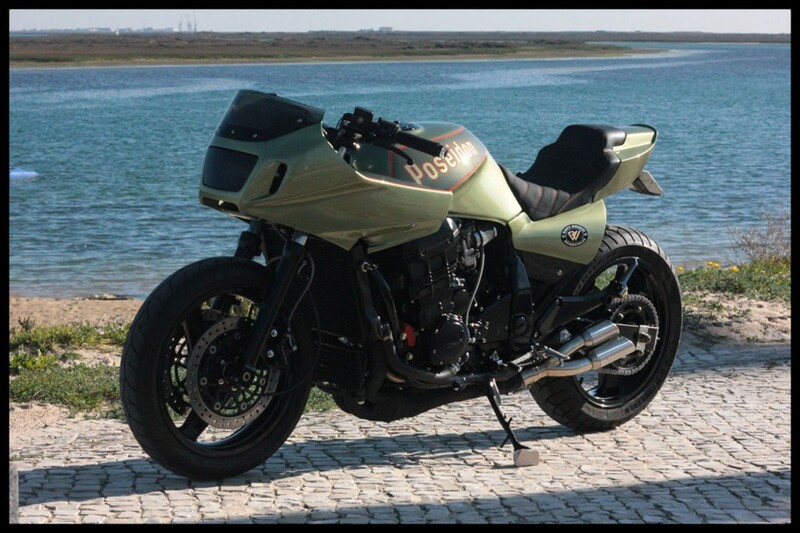 A decade later, Kawasaki re-introduced the GPz brand with the liquid-cooled GPz1100ABS, otherwise known as the ZX1100E, which offered a 129-hp version of the ZX-11 engine that Sport Rider called “God’s own powerplant.” While the new GPz was more of a sports tourer, it was no slouch on the strip, running the quarter mile in 11 seconds flat and attaining a top speed of 158 mph. 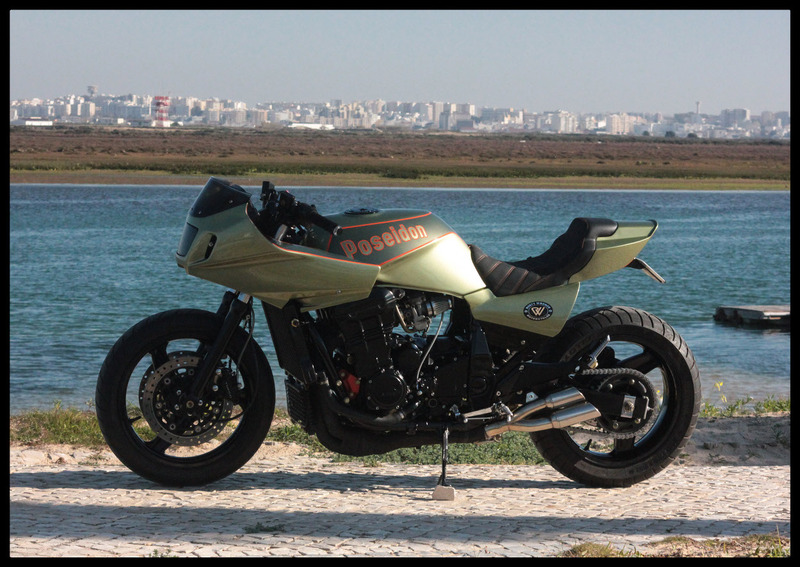 Enter Francisco of Portugal’s Rusty Wrench Motorcycles, who recently went full-time building custom builds for his clients and running his store in Faro, Portugal. Faro is a popular surfing location on Portugal’s famed Algarve Coast, and one of the city’s modern institutions is Clube Surf Faro, a watersports training and activity center founded in 1996. 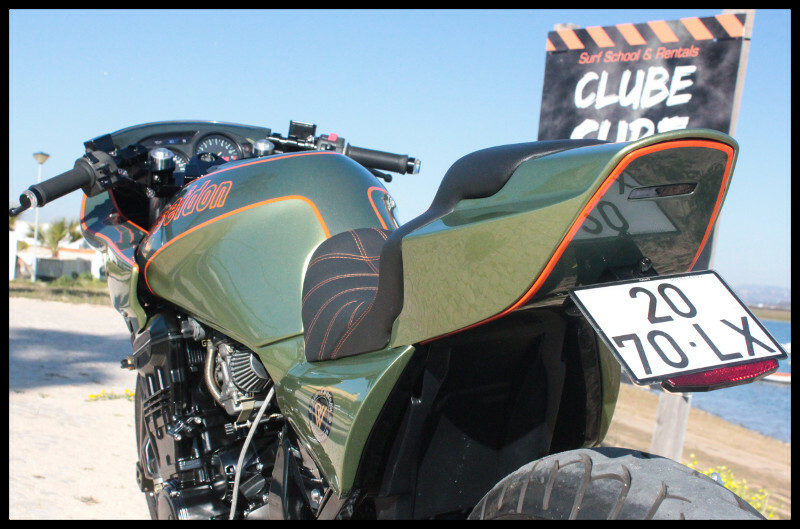 When Clube Surf Faro wanted a custom bike inspired by the sea, Francisco and the RW Motorcycles crew responded with “Poseidon,” the mean green Kawasaki GPz1100 custom you see here. 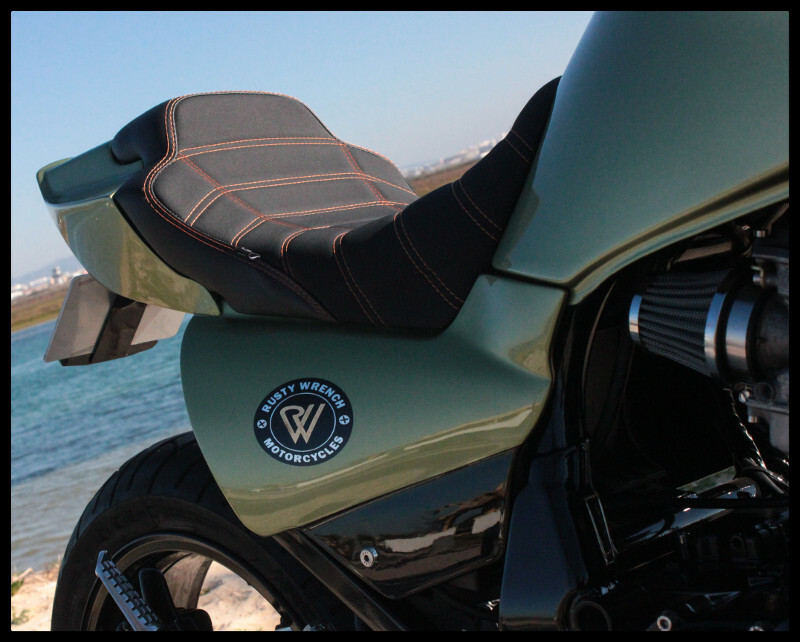 We especially love the tail and side covers, which were done in sheetmetal as opposed to fiberglass. 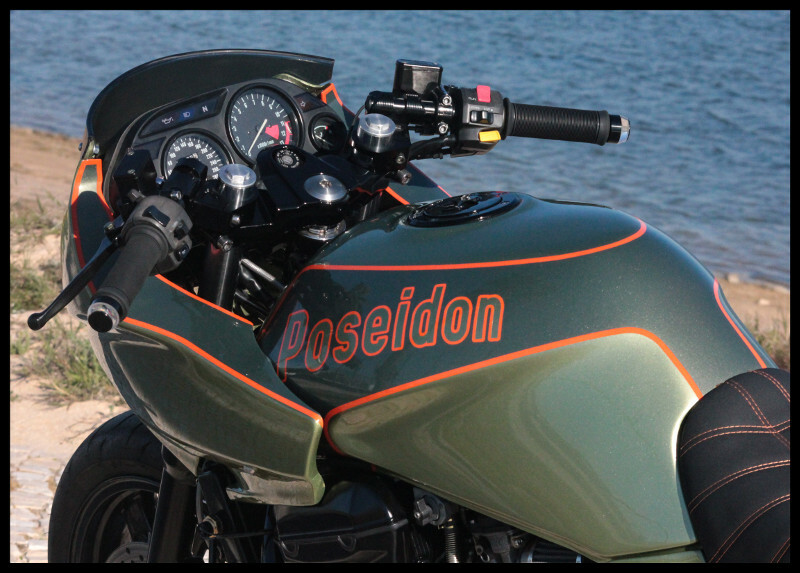 Below, we get the full story on this sea-inspired hot rod! My name is Francisco and motorcycles were always a big passion in my life. 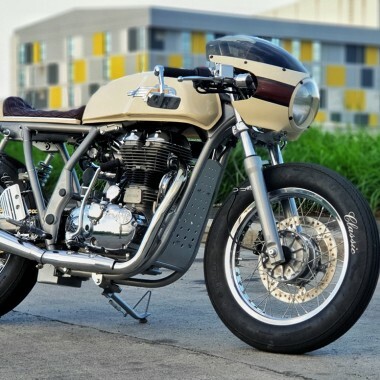 I built my first bike in 2015, which was a success and since then I have been doing kustom building to some friends. Now I am finally doing it full time for my clients! You can see other projects done in our website. 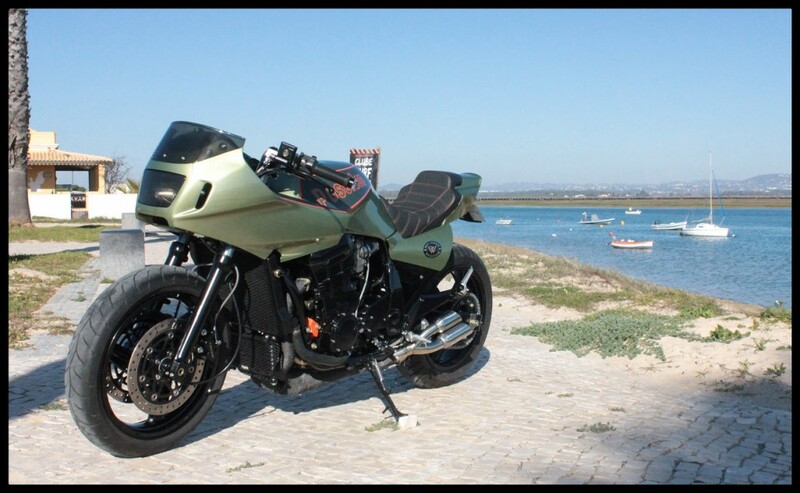 I created the brand Rusty Wrench Motorcycles with an open store to the public with some accessories and clothes for biker lovers in Faro – Portugal, since last year, and it was an old dream came true! 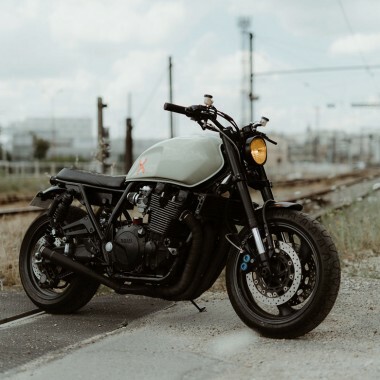 Kawasaki GPZ 1100 of 1998. 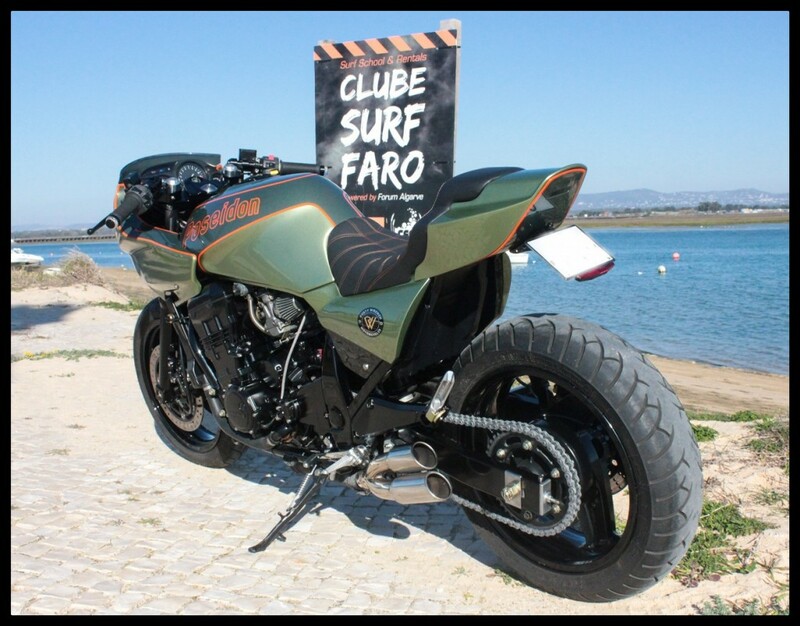 It was a customer project and a promotion for Clube Surf de Faro. The concept was created with some aggressive lines and having the sea as an inspiration. 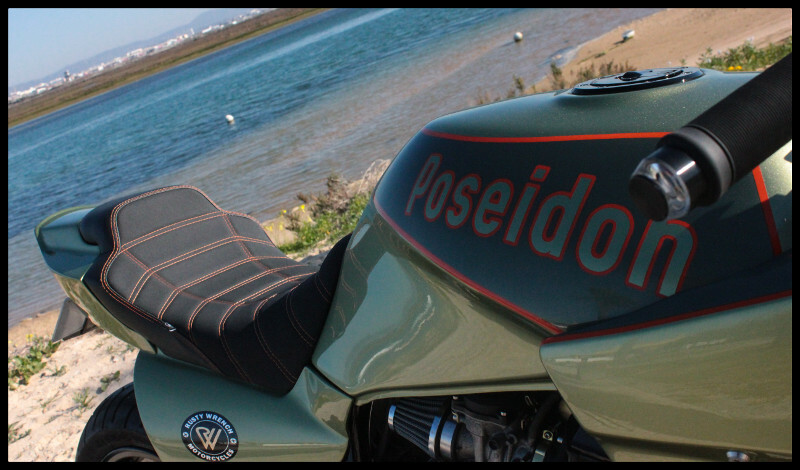 That is why we called it Poseidon, god of the sea! The rear tail, side covers in sheet metal, new painting, new fairing and subframe. 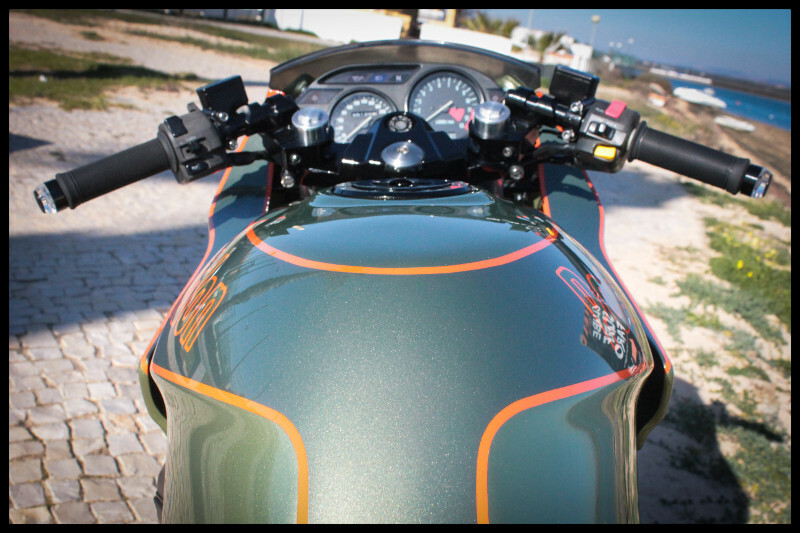 The whole bike was refreshed and renewed with some personalized details. 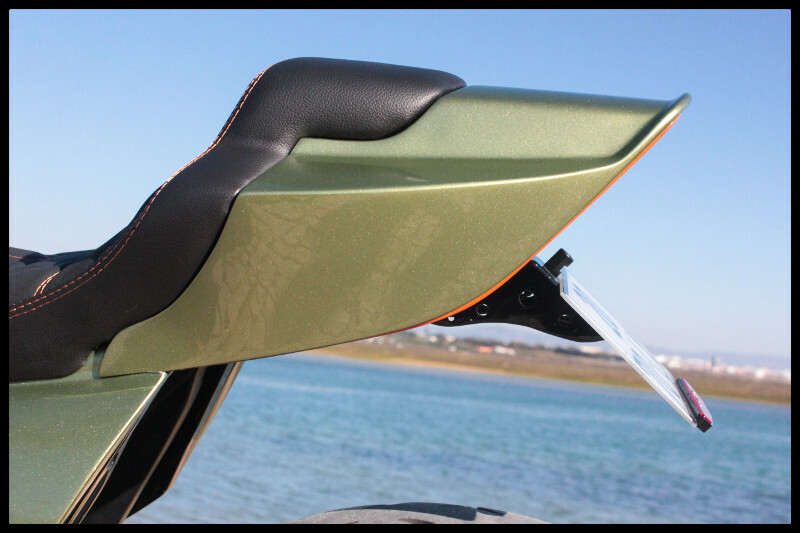 The rear tail, the side covers and the seat. She didn´t deserve such a cruel treatment…..